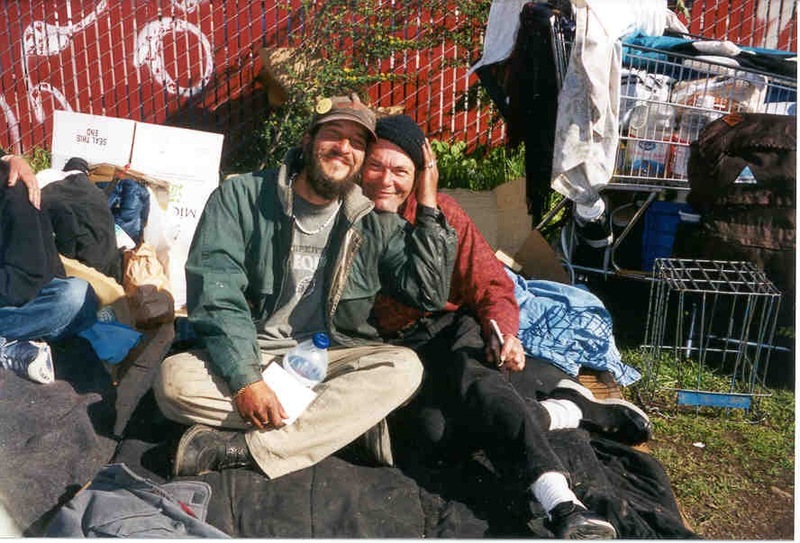 The San Francisco Health Care for the Homeless Program (SFHCHP) was first established through the federal McKinney Homeless Assistance Act of 1987. The SFHCHP ensures that individuals experiencing homelessness have access to primary care and other health care and support services though a citywide system of care. Of the homeless clients served by SFHCHP in 2018, 90% are living at or below the federal poverty level and 62% are uninsured. During 2017, the SFHCHP served over 19,000 patients and provided over 100,000 medical visits and service encounters. Our federal HCH grant is funded by the U.S. Department of Health and Human Services Health Resources and Services Administration (HRSA) Bureau of Primary Health Care. 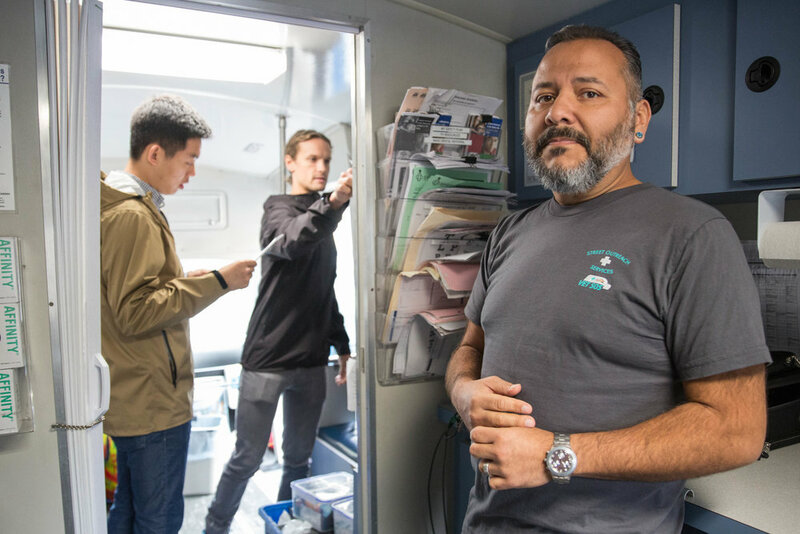 As part of the SFHCHP, SFCCC runs the award-winning Street Outreach Services (SOS) program - a mobile medical clinic for homeless San Franciscans. SOS seeks out those who have long been disconnected from health services, provides on-the-spot urgent care, and connects patients to ongoing primary care so that chronic conditions - like heart disease and diabetes - can be managed effectively and not progress to more expensive and emergent situations. Our newest program provides one-on-one assistance for our SOS clients in order to connect them to enabling support services, such as enrolling in health care coverage, accessing food, and mental health or substance use disorder services. Operating since 2001, Veterinary Street Outreach Services (Vet SOS) is a project of SFCCC's SOS program. Vet SOS provides free veterinary care to the companion animals of homeless San Franciscans and links their human guardians with health care services. Vet SOS provides free pop-up veterinary clinics 12 times per year, using volunteer staffing and a specially equipped mobile outreach van. Both of these van programs succeed by going directly to homeless people - meeting them on their own turf – to build relationships of trust and break down the barriers that keep homeless people and their companion animals from the care they need and deserve. Each year, over 1,000 homeless San Franciscans receive care from the SOS program, improving their lives and the health delivery system. The Vet SOS program annually serves over 500 companion animals of homeless San Franciscans. Additionally, over 50 medical residents, along with medical, nursing and veterinary students receive hands-on training from our skilled multidisciplinary team each year. Click here to learn more about SFCCC's Street Outreach Services (SOS). Through our award-winning Street Outreach Services (SOS) and Veterinary Street Outreach Services (Vet SOS), SFCCC works in partnership with its member clinics and the San Francisco Department of Public Health to provide quality, on-the-spot healthcare to the homeless population.